For once I don’t really have much to write. Guess Who Got 3ds Max Back? I never thought i would get it back but i did, it took me a long time to fix my pc. 😮 So im back to what i used to be, a vertexer. So i made 2 vertex hacks recently, and Mr. Fredericksen from Pixar’s Up! (a revamp to Pik’s) Also ive gotten way better at vertexing and texturing, so expect for my newer hacks to be way better. im open to ideas as well. I present Nidoran Male and Nidoran Female, straight from Pokemon’s first generation. Shield doesn’t seem to be working right for me.-Awaiting confirmation on this. Introducing…. 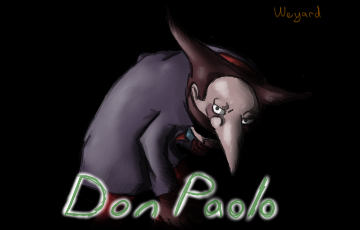 Don Paolo, Professor Hershel Layton’s arch-rival and nemesis. This was meant to be released at the same time as Cuckoos’ Layton, but I decided to release it early because it’s model was finally presentable. Some of you might have downloaded the previous version on BrawlVault, but it has since been updated greatly. However, as you might see, some problems still persist. -His texture is still a bit rough. I’m going to update it for the next version. -He has a crease along his forehead. This is due to the way that Wario’s forehead was made by the original designers. When attempting to flatten the top, ever so slightly, I ended up with this crease. Hopefully I’ll be able to fix it in the next version. -When grabbing/throwing opponents, they appear beneath him, this is also due to it being an import. I’m not sure if this is correctable, but if it is, I will be fixing it in the next version. It causes no problems but it is a bit of an eye-sore. This might be fixed. I need some confirmation on it though. Just download the newest version and check for me if you don’t mind. -His feet stretch underground during certain animations (wait1,2,3 included). I’m not sure why he does this. 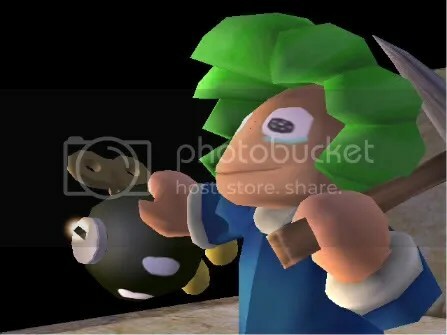 When viewed on BrawlVault, his feet appear to lay flat on the ground as they should, but in-game they stretch down too far. I’m not sure if this is correctable, but it certainly doesn’t effect gameplay. New Pictures will be added showing the new changes at some point. Check back for updates. I’ll update this post as well as the BrawlVault page as soon as changes are made. On a side note, I’ll be starting Paolo’s psa once I finish my Saturos psa. If anyone experiences any graphical errors or other problems that I haven’t listed here, please let me know so I can fix/attempt to fix them in the next version. *Introductory Artwork- by Me, of course.